Unmatched for precision and performance in maintaining quality uniform teeth, throughout the life of your saws. 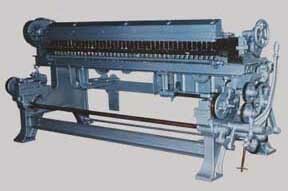 Completely automatic saw filer with machine tool accuracy. Ruggedly built for smooth operation and reliability. 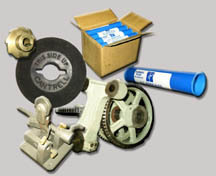 Completely interchangeable parts for low maintenance and service ease. The performance of your lint room is critical to maintaining quality lint at the highest capacity obtainable. Nothing controls your lint quality and capacity as a good sharp saw tooth, and nothing controls a good sharp saw tooth as your precision saw filer. 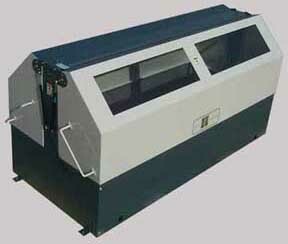 So it stands to reason that you want the best saw filer obtainable for your operation. 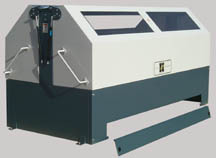 THE CANTRELL 176 & 200 SAW FILER MAINTAINES SAWS IN PERFECT CONDITION AT ALL TIMES. THE CANTRELL SAW FILER HAS MACHINE TOOL PRECISION THAT WILL CUT IN AND MAINTAIN A GOOD TOOTH PROFILE THROUGHOUT THE LIFE OF THE SAWS. 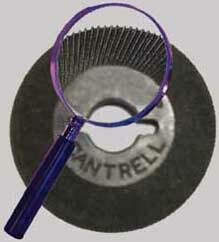 CANTRELL HAS DEVELOPED MANY IMPROVEMENTS TO THE SAW SHARPENING PROCESS INCLUDING A BRAND NEW "ENGINEERED" SAW FILE. THE NEW SAW FILE COMBINED WITH THE NEW SAW FILER CREATES AN ENHANCED TOOTH PROFILE THAT PROMOTES HIGHER DELINTING CAPACITIES. 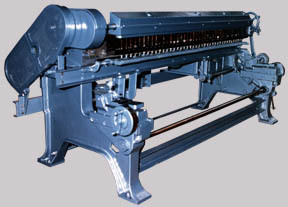 THE SAW FILER IS DESIGNED TO PROVIDE EXTRA LONG LIFE WHILE MAINTAINING QUALITY AND CONSISTENCY NEVER BEFORE ACHIEVED. The Ultimate Gummer Enclosure. Fits 176 & 200 saw models. Safety and Maintenance issues "Solved". Feather-Lite Aluminum Alloy covers virtually open themselves. Generous full sized windows for operator viewing. Easy access for waste pan removal. 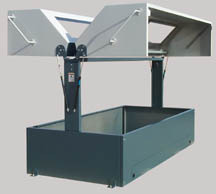 Heavy steel base for stable operation. No hydraulics or pneumatics to be connected. Easy Clean powder metal paint finish. 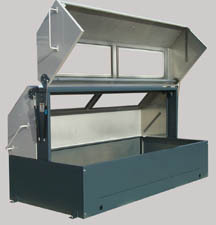 The new designed gummer file is a PROCESS, not just a new product. 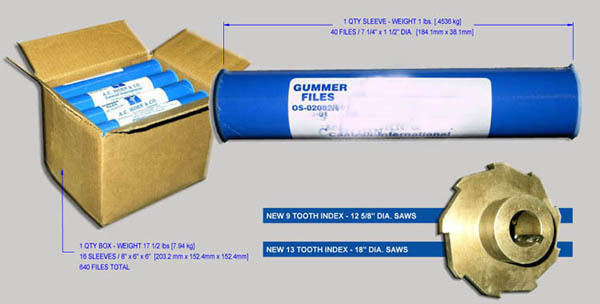 The new gummer file, which fits all factory standard spindle screws, provides an enhanced tooth profile which promotes higher delinting capacities, less shattered seed, and a more robust saw tooth that lasts longer. All 18" dia. saws (.035" & .045" thick) will have the best tooth profile with the 13 tooth ratchet when finishing to the "O" micrometer setting. A 21 tooth motor sprocket, which relates to speed, when paired with a factory standard 74 tooth driven sprocket is an option and does not have to be used. However, when using the 21 tooth sprocket, the sharpening time is reduced to less than 40 minutes and thus saves the customer valuable time. When sharpening all 12 5/8" dia. saws, we recommend a 9 tooth ratchet, and a perfect tooth can be reached at the "0" micrometer setting. The 21 tooth motor sprocket in this case is same as above. The 9 & 13 tooth ratchets can be easily changed over in a few minutes and are standard stock items in our Dallas facility. For best results, make sure the spindle projection is set to .75" as originally set by the factory.